After a huge marquee win against Mt. Si a few days prior, there was concern about the possibility of an RHS squad letdown against the quality North Creek team. Which team would show up with the most motivation and fire? Who would want it more? All in attendance yearned to find out. North Creek came out and played a compact game, with forwards rarely venturing far into the RHS half. This gave the Stangs ample opportunity to move the ball around unpressured in the backfield, although whenever they tried to move forward RHS seemed to have difficulties advancing the ball past midfield. In the early going, the Stangs demonstrated some nice defensive work with Tibbs working his usual fleet footed magic around the touch line, and Gordon presenting serious resistance to the pesky North Creek attacks. 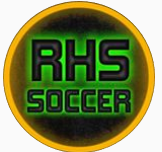 On the other side, Rabadan was able to win an early corner, but the kick was cleared out of harms way by the tough North Creek D.
Coming out of the half, RHS was definitely amped up and ready to play. Rabadan got off a quality cross soon after the restart, and the Kojo Mojo started to appear with Dadzie’s slicing and dicing attracting the attention of at least two defenders at a time. Diaz impressed with his hard-nosed play on the wings, winning strong tackle after tackle. RHS continued to win the possession battle, but were unfortunately not able to convert the possessions to material goods. RHS long balls and crosses were the name of the game to try to get on the board, and a few of the attempts showed some real promise. Another nice Rabadan cross found an open Cain, who had courageously made space for himself in the box, but the strike floated high. 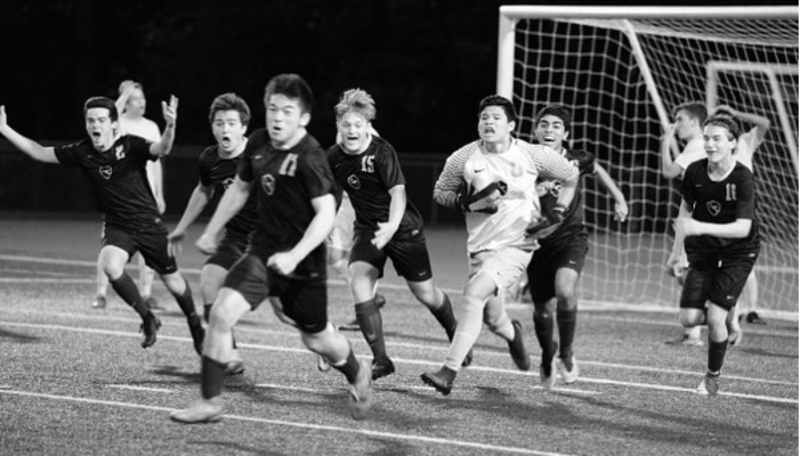 With RHS frantically trying to find the equalizer, a final glimmer of hope was presented when a second yellow card (and subsequent red) was shown to one of the more touchy-feely North Creek defenders. The free kick by Stein was a beauty, with the fall barely flicked over the crossbar for a Redmond corner by the outstretched North Creek keeper. The corner unfortunately did not find the mark, and a bit later the clock ran down to the first Redmond defeat of the season. Previous postPicture Day THIS Thursday, March 28th!!! Next postThe JV Stangs keep them doggies movin’ with another shutout win, outclassing a spirited Mount Si Wildcats 2-0!